The best way to get to know a community is by scheduling a tour. See the facilities, meet the staff and residents, and get a feel first hand what it's like to live at Country Place Senior Living & Memory Care Chanute Assisted Living. Beautiful surroundings and innovate care are what set the brand-new Country Place Senior Living & Memory Care Chanute apart from other assisted living facilities in the Chanute area. At our community, residents are treated as family and are empowered to continue living the life they had before joining us, thanks to our personalized care. 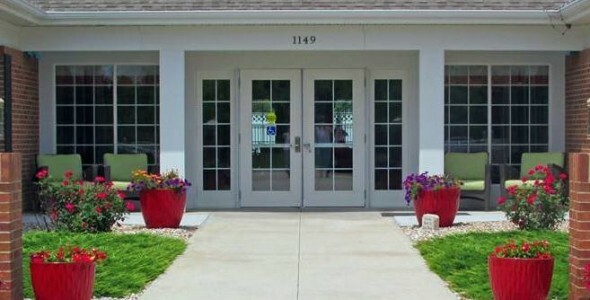 Country Place Senior Living & Memory Care Chanute is one of several communities owned by Country Place Senior Living. We specialize in developing assisted living community that make a difference in seniors' and their families' lives. What also makes our company unique is we serve rural underserved areas in Alabama, Kansas and Texas. Our communities are not large, imposing buildings where our residents feel overwhelmed or overlooked. Instead, our communities have less than 40 apartments, which means that everyone knows each other. Newcomers are welcome to use our professional interior design services to style their new home and they can bring life-long treasures. What makes Country Place Senior Living Chanute feel like home are our welcoming, well-appointed community areas - from the elegant dining room to the fireplace lounge with a baby grand piano. We also have landscaped grounds that are perfect for an afternoon stroll, and the courtyard has benches where residents are found watching the birds or chatting. The services we provide are designed to free our residents from responsibilities. Every day home-cooked meals are served and residents are welcome to suggest their favorite recipes. Housekeeping and personal laundry service is also handled by our staff. Bill paying is a chore of the past because the monthly rent includes all utilities (except for phone) and cable TV and Internet are free. Families appreciate the personalized assistance with activities of daily living that their loved one receives upon joining our community. Certified staff is only duty 24/7 so help is always close at hand, and a licensed nurse is on call 24/7. In addition to assisted living services, we also provide memory care for seniors with Alzheimer's or dementia. Join Country Place Senior Living & Memory Care Chanute and discover a life on your terms with the care available when you need it.